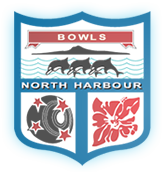 Our 2018/2019 season will certainly be different following the significant changes made by Bowls NZ. No more Pathways; National Interclub gone; a new fast format game with wider appeal and made for TV; and just the Open Intercentre Grade left. The net result is more opportunity for our Centre programme and our member clubs have more playing time available to them. Your Board sought feedback and listened to the messages from clubs and players about what was important to you. Keep Open Championships; keep Champ of Champs; Pennants is our most popular event for players at all levels; you liked the twilight PPL League we introduced last year; and keep giving our newer bowlers opportunities to develop and test their skills against their peers. We think the programme for this season should meet your expectations. And change is coming from other directions as well. We’ve talked for years about the need to provide opportunities for twilight play to meet the needs of potential members who want to spend weekends with families; about looking after our older members who don’t want to play for long hours in the rain and cold; and about expanding the opportunities to play at night and throughout the winter. That need is starting to be addressed by the increasingly rapid development of covered stadiums/greens throughout the country. Our first covered green is underway at Orewa. Hopefully with more to come as our clubs look to meet the challenge of catering for new (and existing) players to enjoy a sport which does appeal to people of all ages and abilities. Welcome to all new players. To our roll up and social bowlers, enjoy the fun and companionship offered by our sport. To our competitive and representative bowlers, enjoy the challenge of testing yourself, and succeeding, against the best. Our sport benefits from the freely given efforts of so many volunteers, including coaches, umpires, administrators and those who work tirelessly at our clubs. Thank you for your support. On behalf of the Board and me personally, I wish you all good bowling and a successful season.